SNCB-Holding will be organising the third Next Station international conference in cooperation with the UIC (International Union of Railways). Following the conference, you will have the possibility to download the presentations of the speakers and the conclusions of the congress from this site. DOES LIBERALIZATION HELP IN MAKING RAIL MORE ATTRACTIVE? 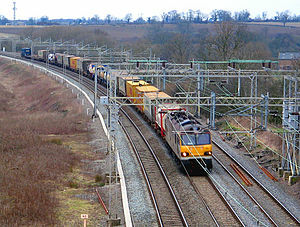 MAKING RAIL FREIGHT WORK COMMERCIALLY. IS THERE SCOPE FOR NEW BUSINESS MODELS FOR RAIL FREIGHT? BEST PRACTICE: DOES RAIL FIT INTO A GREEN LOGISTICS SUPPLY CHAIN?